Following the return of Heroes Monday night (which, by the way, packed into one episode what a normal TV drama would have stretched over an entire season making it intensely interesting), the IAC ran a commercial - which has been on YouTube for six months - promoting those cute little traveling Zwinky avatars and the launch of Zwinktopia, a virtual world devoted to the little digital creatures who follow you around wherever you choose use them. Because of the many request IAC has received from users who want to outfit their avatars with actual brand name clothing, the organization is working with brands serve that need thereby creating an ad medium along the way. Chris from Cogbox tells an interesting story about Digg, its users, digital rights management and the power of social media. In a nutshell, a post appeared on Digg referring to a site that has posted the alphanumeric code that would allow someone to break the digital right management system and copy copy-protected DVDs. Digg removed the story after getting over 15,000 Diggs. People rebelled and posted the code in unrelated stories that were then digged to the front page of Digg. Digg admins banned the accounts of those who posted the code. The AACS, the group that enforces the code, sent cease and desist letters to those posting the code. And, hilariously, the letters sent by the AACS contained the actual code which was buried in the URL of one of the sites the organization was trying to silence. Well, like that poor girl trying to rip her racy picture off the high school bulletin board in a recent Ad Council internet safety campaign, the AACS's efforts are fruitless. Once something like this is out of the bottle, there is simply no way to re-cap it. Nearly every story on the front page of Digg yesterday contained the code despite efforts to stop the spread. Chris has an interesting analysis of this as it relates to social media and the role social media enabling sites like Digg play. Teen media and marketing blog Ypulse has partnered with conference producer Modern Media to produce 2007 Mashup, a two day event held at San Francisco's Nikko Hotel July 16-17 which will explore today's "totally wired generation." Explaining the focus of the conference, Ypulse Founder Anastasia Goodstein writes, "This event was born out of almost three years of blogging and building a diverse community of media and marketing professionals who all have something in common: an empathy for youth and a passion for reaching them in an authentic way -- whether that's through a marketing campaign, editorial content, a website or other technology product or face to face. If I've learned anything over the past couple of years blogging about this audience, it's that, yes, they are 'totally wired.' It's not that they write code or can take apart a computer (although some can), it's that this generation has grown up with the internet and cell phones and has integrated technology into their lives as naturally as the air they breath -- they're hyper connected, multi-tasking and incredibly marketing savvy." 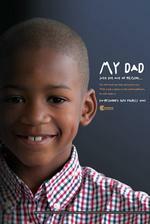 AdPunch points us to this campaign launched a couple years ago for Centreforce by agency Better World Advertising. It ran in San Francisco and Oakland. 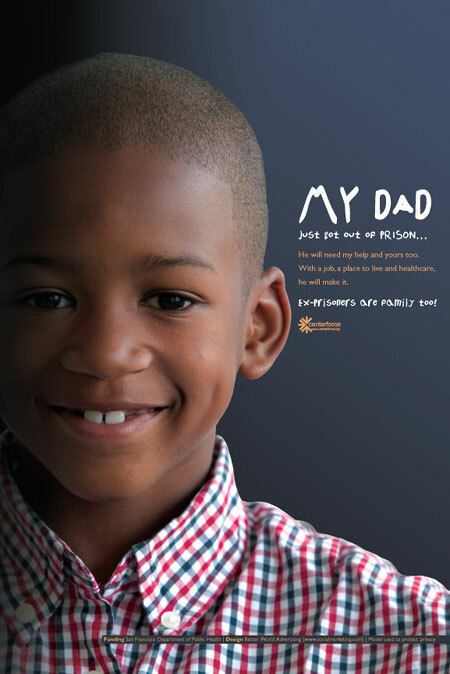 Seeking to humanize inmates and fellow prison alum, ads feature friends and family members who really want their dads/sisters/husbands back and are asking for community support as they reintegrate. We're sort of reminded of Benetton's We, On Death Row campaign. Boy oh boy did Benetton get hell for that - a possible reason why they devolved from provocation to potato-pushing. Granted, Death Row inmates deserve all the flak they can get considering they aren't really people. Here's a billboard we haven't seen before. "Imagine a modern metropolis with no outdoor advertising: no billboards, no flashing neon signs, no electronic panels with messages crawling along the bottom. Come the new year, this city of 11 million, overwhelmed by what the authorities call visual pollution, plans to press the 'delete all' button and offer its residents unimpeded views of their surroundings." 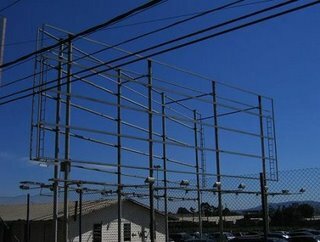 City officials in Sao Paulo, Brazil just passed a law that may see the end of ads in public display. Billboardom tips us off, but the above quote comes from the International Herald Tribune. "I think this city is going to become a sadder, duller place," says Dalton Silvano, an ad guy who cast the one dissenting civil vote. "Advertising is both an art form and, when you're in your car or alone on foot, a form of entertainment that helps relieve solitude and boredom."